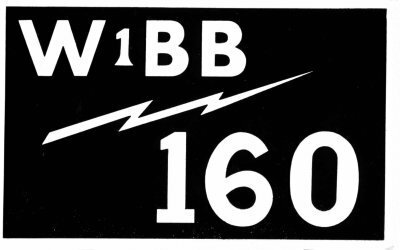 First licenced on 27th July 1966, I used a 10 watt homebrew AM/CW transmitter for 160M,and my receiver was a Marconi CR100. At that time, my antenna was a just piece of wire 66ft long and 15ft high. The station was based at Chertsey in Surrey. Needless to say, it didn't work very well. Over the next few years, the antenna grew to 132ft and was raised to 40ft high. Things improved with the aquisition of a KW Vespa 10-160m SSB transmitter, a KW1000 linear and an AR88 receiver. But the poor antenna was still the reason why the DX eluded me. 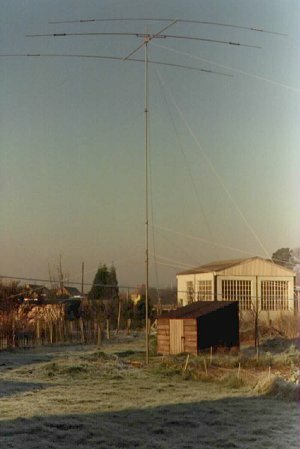 Having got married in 1971 and bought my own property in Thatcham, Berkshire, I now had the space to put up some proper aerials! 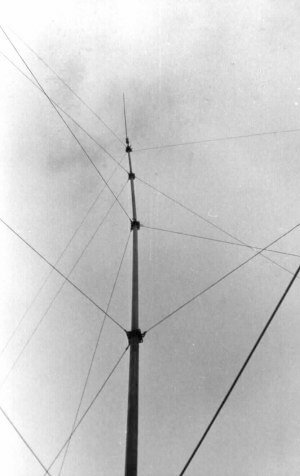 A 66ft vertical with a loading coil near the top was erected for 160M. I buried a copper water cylinder 6ft under the mast and mixed 10lbs of salt in with the soil to help with ground conductivity. 25 radials 132ft long were connected to this and fanned out across the garden. One strange thing I did notice when switching the receiver back on was that the S-meter seemed to be stuck on the right -hand side all the time! 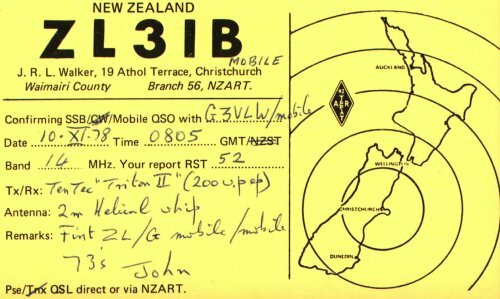 One of my first contacts with the new setup was W1BB in America. Having found the night-shift on 160 and 80M rather tiresome, I decided to get a Mustang 3-element beam for 10, 15 and 20M. I operated this 35 ft high and it worked quite well for some years until I moved house again. That was a big mistake. I moved in and duly erected the antenna. 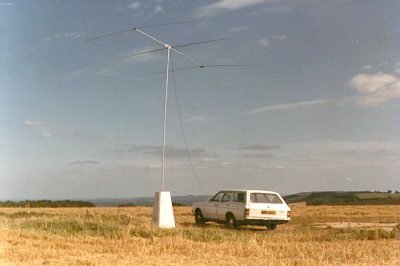 A home-brew 6-el quad for 2m sat at the top of the mast. 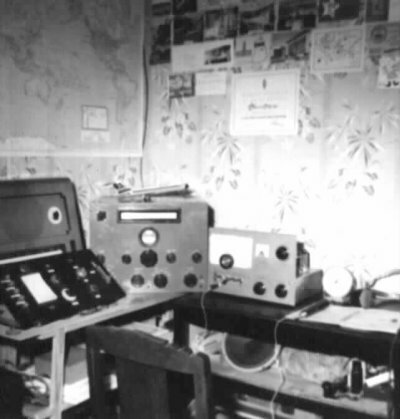 The next thing I knew, there was a photograph of my house and the beam on the front page of the Newbury Weekly News with the headline "Newbury tells radio ham - belt up!" The proximity of the antenna to nearby houses had been causing very bad interference to their televisions and the neighbors had ganged up against me. So the only option now was to go "mobile". This proved to be the most exciting and rewarding time of my amateur radio career. 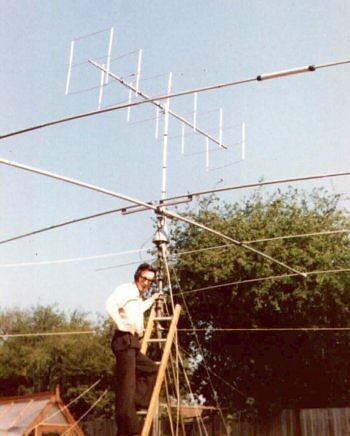 My job at that time (1977) took me over 20,000 miles a year in the car, so I equipped myself with a Trio TS520 transceiver and a mobile whip which I mounted in the middle of the roof. With this setup, I worked over 200 countries on SSB over the next 3 years, the most memorable being VR6TC on Pitcairn Island and ZL3IB/M which I believe was the first G-ZL mobile to mobile contact on 20 meters. 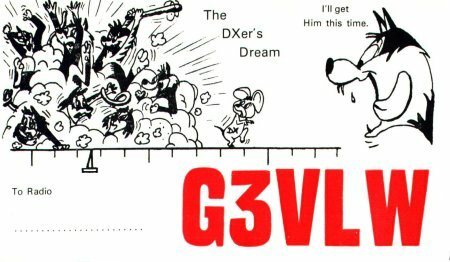 At this point, I would like to acknowledge G4DYO and G3MCS for the valuable help they gave me in finding the DX and passing the info to me on 2m! 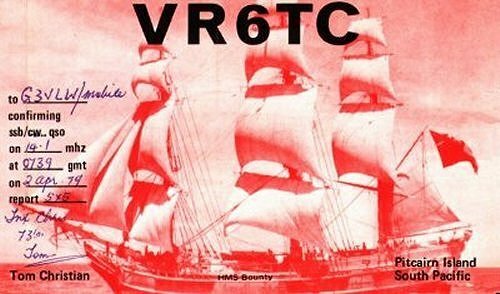 Some would say cheating somewhat I suppose, but at least I have the QSL cards to prove I actually worked them. Later on, I made a 3 element beam for 10m which I could fold up and take out in the car and work /P. Here is a picture of it on the top of Walbury Hill in Berkshire. The triangulation pillar makes a great antenna support! 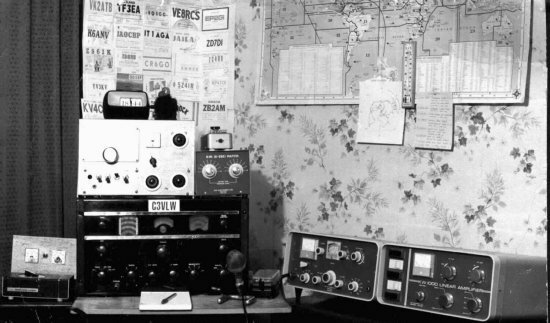 Other notable acheivements I have under my belt are operating the Science Museum Radio Station GB2SM in London every Saturday, and working from a special station set up inside Windsor Castle to commemorate the Queen's Silver Jubilee in 1977. I also met King Hussien of Jordan (JY1) while repairing his daughter's television at her house near Windsor. I suppose that's better than talking to him on the radio! I am not active on the radio any more, my interests have moved on, but I would love to hear from old friends who remember me. Please send mail here.